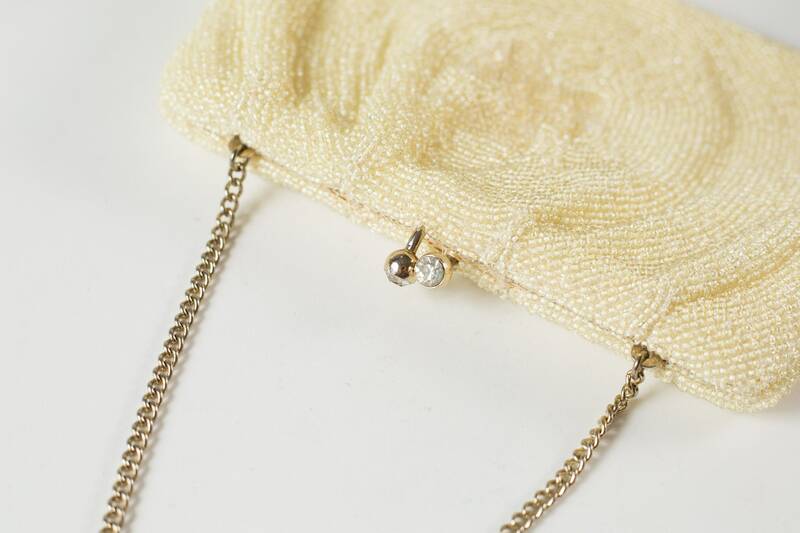 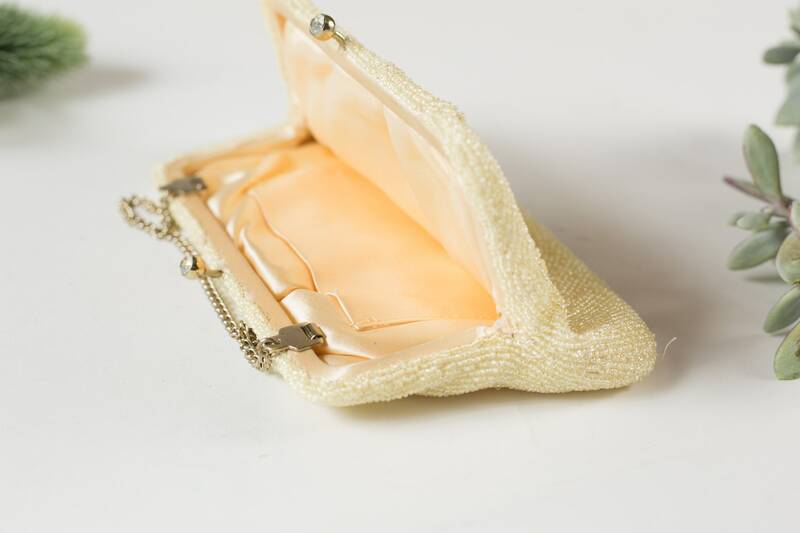 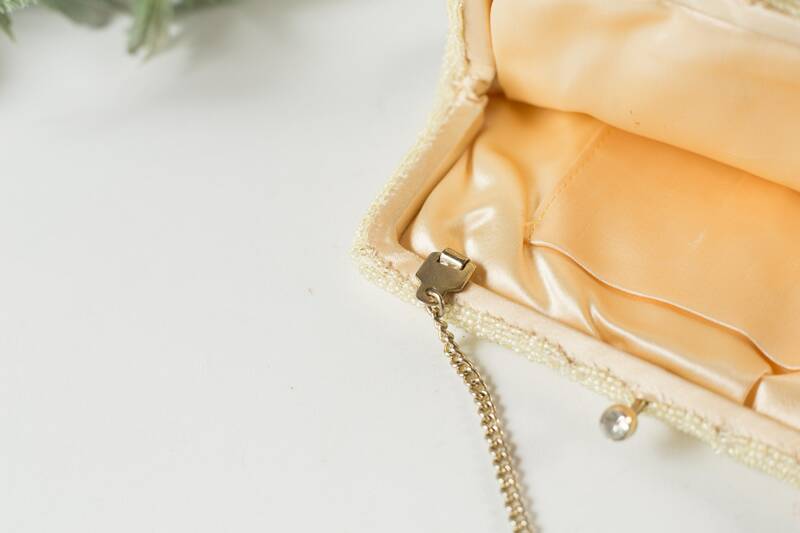 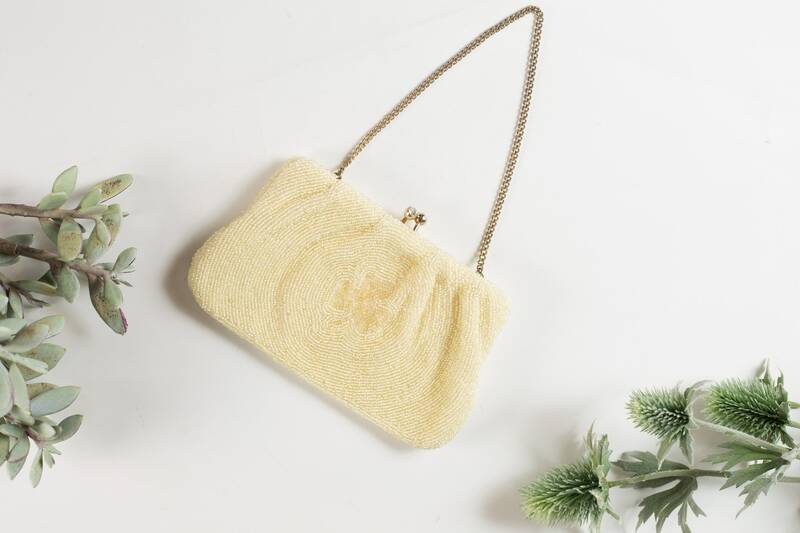 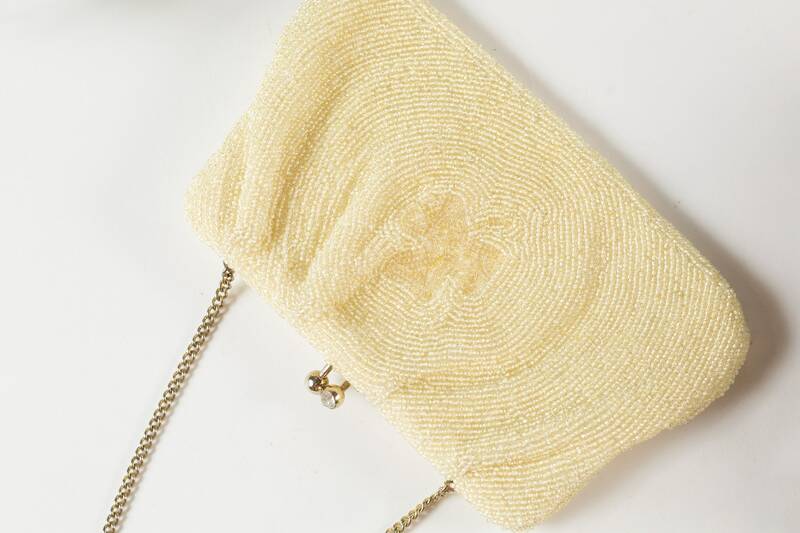 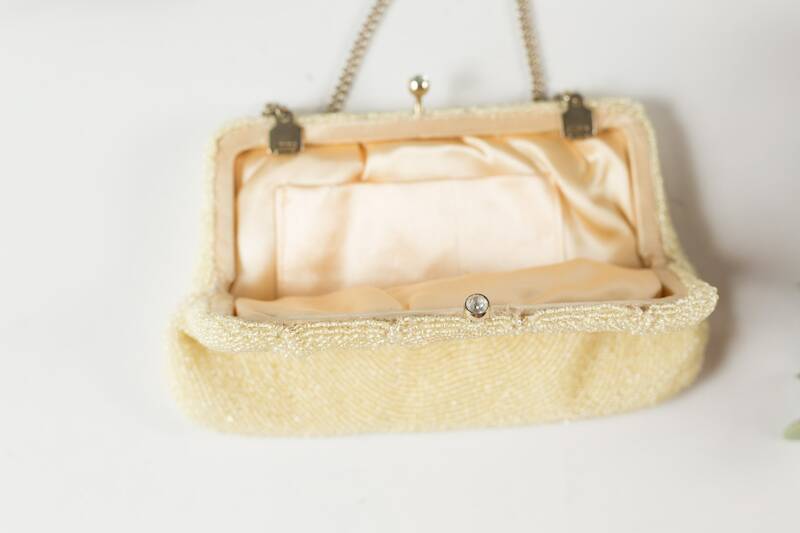 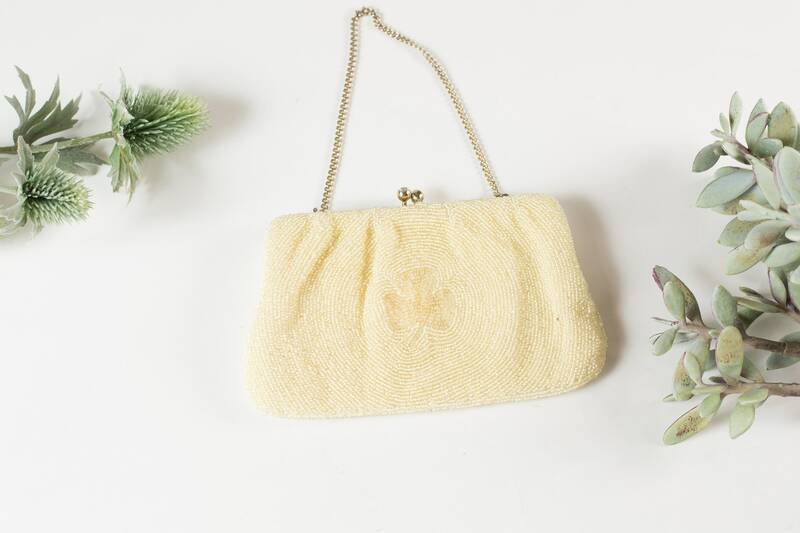 This is a beautiful magnolia coloured beaded purse with gold coloured metal frame and chain. 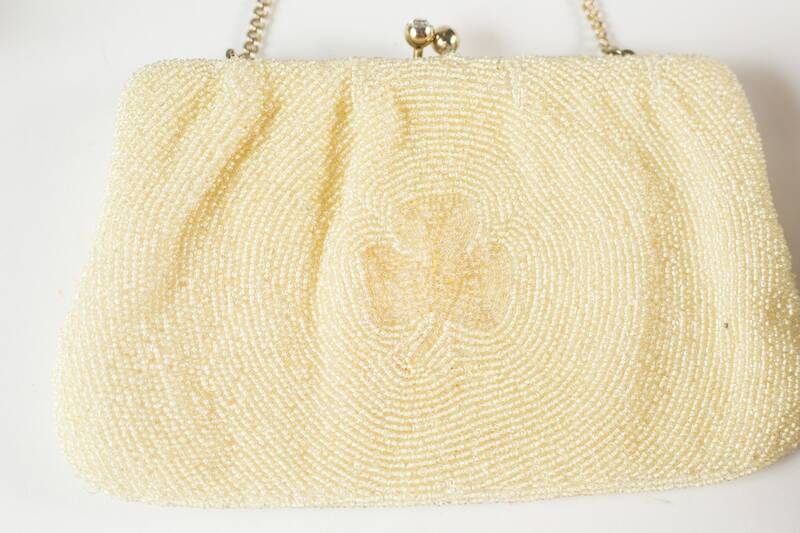 It has a 3-leaf clover motif in the middle. 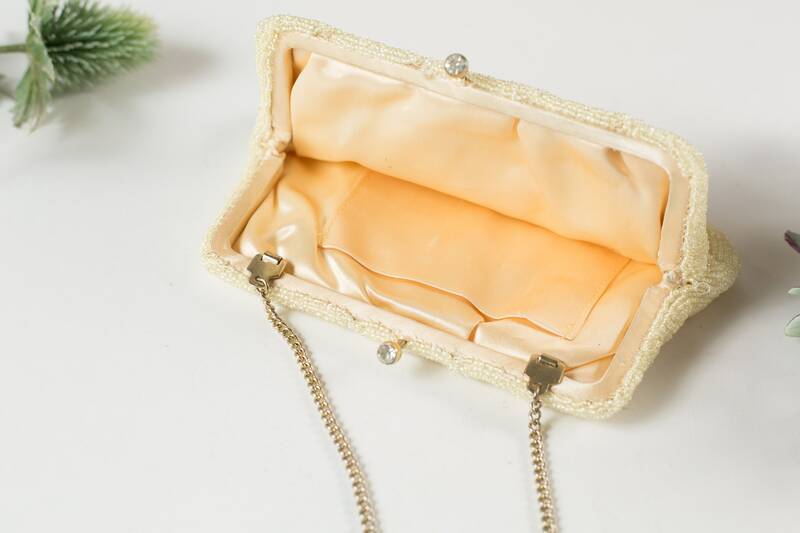 The interior is lined with a peach coloured fabric.